The thing about meeting other single people is that you kind of have to be in the right place at the right time. But between hustling for rent money and our occasional hermit-like tendencies, it’s not easy. Which is why we’re thankful dating apps like Happn exist. 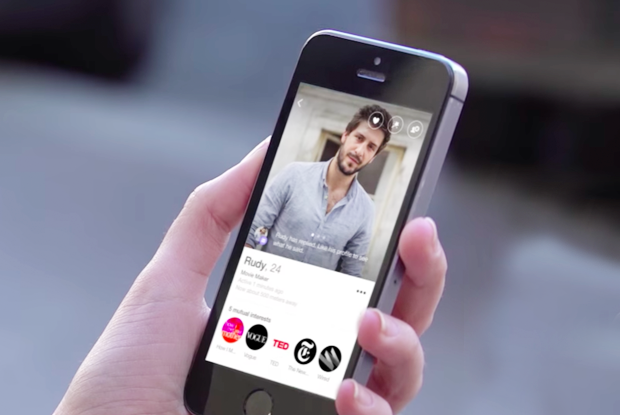 You may know Happn because, well, they have 17 million users, so you’re probably one of them. (And if you’re not - what are you waiting for?) Also, you may have read about them because we like them. 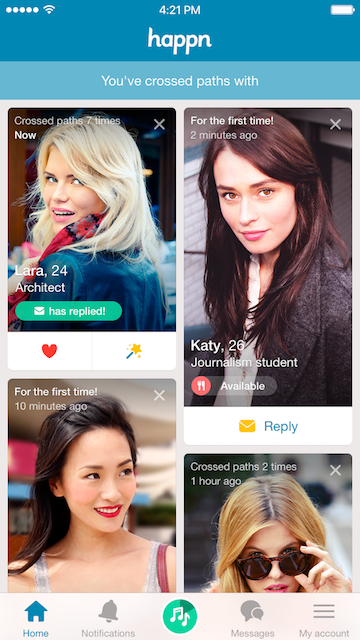 Happn is that dating app that connects you to people you’ve crossed paths with in real life. So say, like, you and a cute guy/girl are in the same bookstore, but you happen not to see each other. Happn will be Cupid’s arrow and tell you that you just missed one other. Then, if you both “like” each other, you start chatting. It’s cool because if you’re already hanging out in the same cafes, the same bars, or taking the same route to work, you may as well have a drink, see if there’s a spark. Clearly you enjoy doing some similar things. And if all else fails, you can talk about how much you hate the L train. Anyway, they’ve got this new feature. It’s called “See You There.” It's a way to let others know you’re free to get together for a few hours over a specific activity. You know, something as simple as going for a walk, grabbing a bite, or catching a movie. Regular date stuff. So now a little badge will pop up on your profile that tells people you've crossed paths with and your crushes (that’s what it's called if you both like each other) that you're around and down to hang. So pretend you’re having a beer at Three Diamond. (Ha. Pretend.) You’ll pull up Happn, tap the little (+) icon, and say, “I’m free to… have a drink.” Then one of your crushes can send a short message. Something like, “I’m down. Where should I meet you?” And you’ll tell them, “Three Diamond. Back booth. First round’s on you :)” Because it should be. You can use "See You There" anywhere. You could be in bed with nothing to do on a Saturday afternoon and let others ask to take you on a walk. You could do it at work and, when someone messages you, fake sick to go see a movie. Or maybe you're the go-getter type who wants to go for a run. Hey... it's possible. 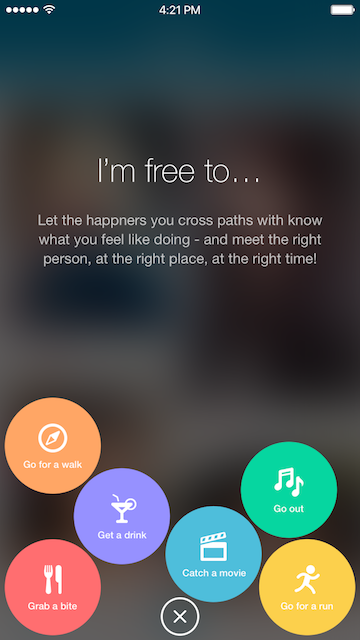 Download Happn for free on iPhone, Android and Windows phone.